NFL blocked veterans' #PleaseStand Super Bowl ad as a "political statement"
The National Football League rejected an ad for its Super Bowl program by American Veterans that asked players and spectators to “Please Stand” during the national anthem, a decision that is reigniting the debate over freedom of speech — in this case, the rights of kneeling athletes versus veterans of the U.S. military. 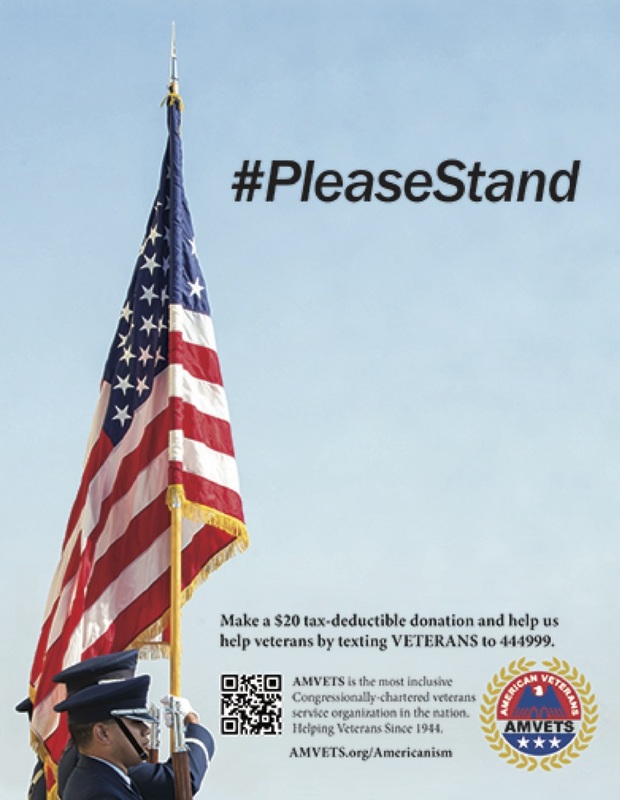 The ad showed a picture of servicemembers holding an American flag beside the words “#PleaseStand." In the bottom corner, the ad showed the AMVETS logo and details about how to make a donation. The ad refers to NFL players kneeling during the national anthem in protest of racism and inequality across the U.S., which was first carried out by former San Francisco 49ers quarterback Colin Kaepernick in 2016. President Trump has repeatedly weighed in on the controversy, but the NFL has come down on the side of athletes' freedom of speech. AMVETS called it a “reprehensible” impingement on veterans’ freedom of speech, particularly since the NFL wraps itself in military props and imagery. The NFL is the only major sports league to reject the ad, which would have cost the group $30,000 in the printed program for the Super Bowl, a discounted rate for nonprofits. Both the National Hockey League and the National Basketball League approved the ad to currently run in their all-star game programs, AMVETS told VICE News. Programs for the Feb. 4 Super Bowl game, between the New England Patriots and the Philadelphia Eagles, began printing Monday after the NFC and AFC championships Sunday decided which teams would play. AMVETS, an organization with more than 250,000 members across the U.S., said it received a call Friday before Martin Luther King weekend inviting the organization to purchase an ad in the program. It was the first time they’d been approached with such an opportunity, AMVETS told VICE News, and were given just a few days to submit the ad before the deadline. NFL declined both of those options, offering others like “Please Stand for Our Veterans.” But AMVETS said there was a subtle difference in what the NFL was suggesting that fundamentally altered the meaning of their message, according to John Hoellwarth, the National Communications Director for AMVETS. Namely, to “stand for” or to “stand with” veterans could be construed as figurative, when the meaning was intentionally literal. The NFL said production had been delayed while they awaited a response. The NFL hires a third-party publishing agency to sell advertising, but the league ultimately approves what goes into the program. That may account for the differences in slight differences in timelines, according to AMVETS. Veteran organizations in the U.S. have come out on both sides of the issue. Some have actively come out against NFL players kneeling during the national anthem, staging boycotts and slamming the NFL. Others have said they respect the players’ right to protest. The NFL said it had accepted an advertisement in its Super Bowl program for another veteran’s organization, The Veterans of Foreign Wars of the US, VFW, which reads “We Stand for Veterans” and describes the benefits of the group.